After ​57 goals for the U.S. National Team and 155 goals in club play, the Deuce is finally done busting loose. At the age of 35, Clint Dempsey is calling it a career. ​​The goal-ripping, bar-spitting striker from Nacogdoches, Texas is hanging them up in the midst of his 15th professional season. A member of ​MLS' Seattle Sounders since 2013, Dempsey retires as one of a small handful of American players to have made serious waves in the Premier League. His 57 goals in England's top flight -- including 50 in a sensational run with Fulham between 2007 and 2012 -- are unlikely to be matched by an American for many, many years to come. A fearless, aggressive operator, Dempsey proved an ability to play essentially any attacking position on the pitch. Whether tucked in behind the striker, manning the top of the formation by himself, or storming in from the left wing, he imposed his will on the proceedings with a consistency perhaps unmatched by any U.S. men's player; only Landon Donovan's CV can measure up. And he never wasted a minute out there. Just ask Ghana. 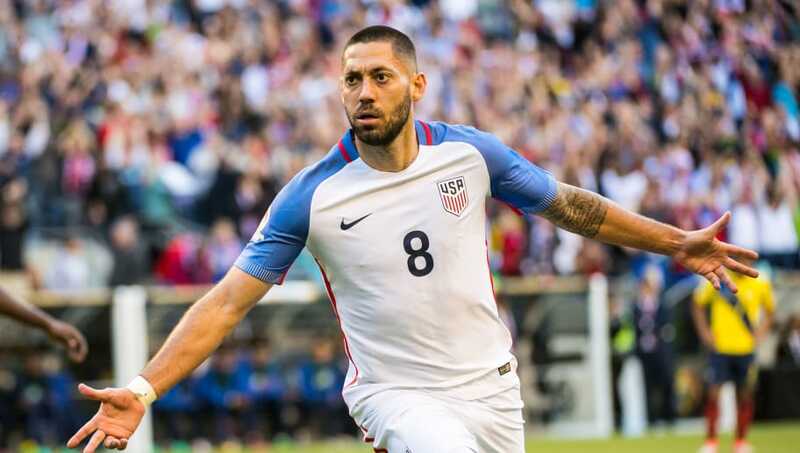 ​​Dempsey retires tied with Donovan as the USMNT's all-time leading goalscorer. But apart from the numbers alone, his steel on the pitch and dogged refusal to back down from a challenge ensure that his name will ring out for generations to come. "He scores with his left / He scores with his ri-ight / That boy Clint Dempsey / Makes Messi look shite." Congrats on a soccer life well-lived, Deuce.